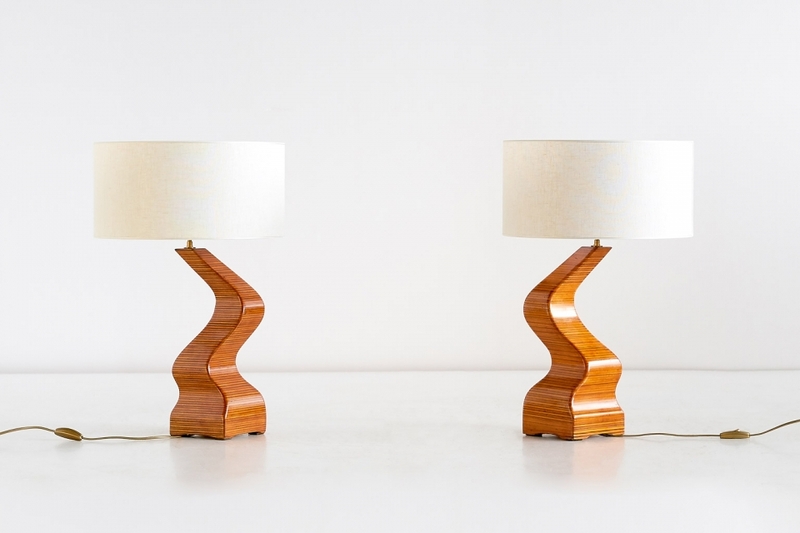 This striking pair of table lamps was produced in France in the 1970s. 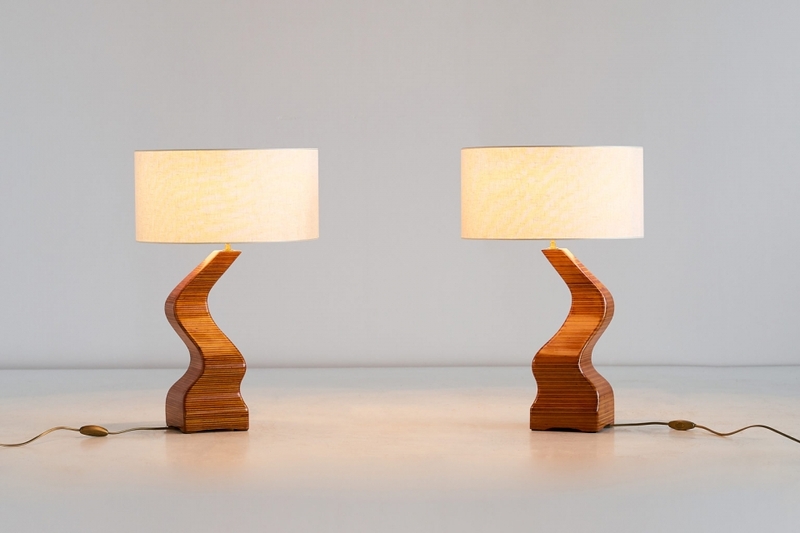 The sculptural bases are made of layered lamellar wood, which creates a wonderfully striped pattern. 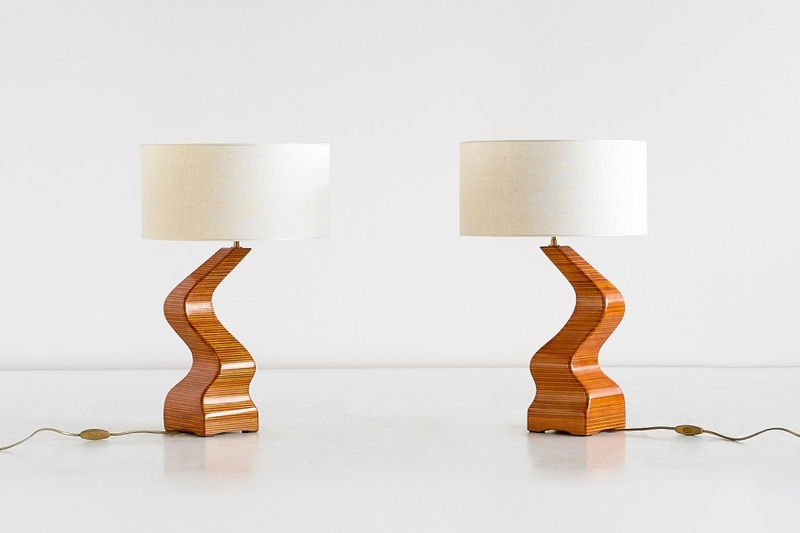 The wave shaped base perfectly illustrates the original and playful character of French 1970s design. The new, pearl white shades distribute a soft and pleasant light. The wiring has been checked and the lamps are fully functioning. Condition: Excellent. Fully functioning. Wiring has been checked. Wood has been refinished. New custom-made shades.